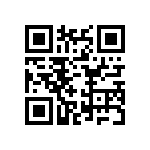 Not sure if it's the latest version of Goggles app or if it's Jelly Bean, but since upgrading my Samsung Galaxy S2 to Android Jelly Bean, Goggles can't read the majority of QR codes it encounters. I had a friend try Goggles on his Jelly Bean HTC and it was the same situation. Another friend with an iPhone barcode app didn't have any issues. I even tried Goggles with Google Charts' QR code generator (long deprecated but still generating) and still had no luck. For now it seems like users must find other apps to scan QR codes. In my case I switched to the built-in AT&T barcode scanner in my smartphone and it is working just fine.